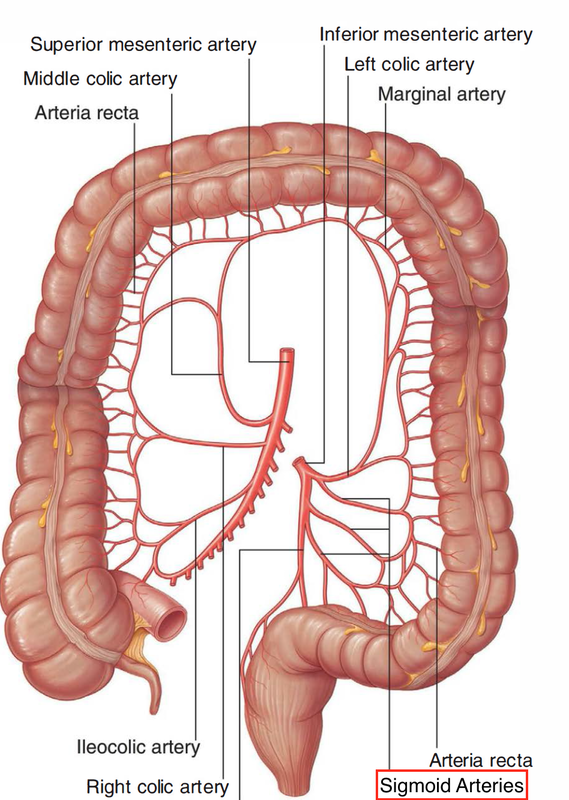 The sigmoid arteries/branches are a set of 2-4 arteries that branch directly off of the IMA. The superior branch anastomoses with the left colic artery while the inferior branch anastomoses with the superior rectal artery. These arteries perfuse the sigmoid colon with oxygenated blood.